Estes Park Kids Activities build life long memories for the whole family. 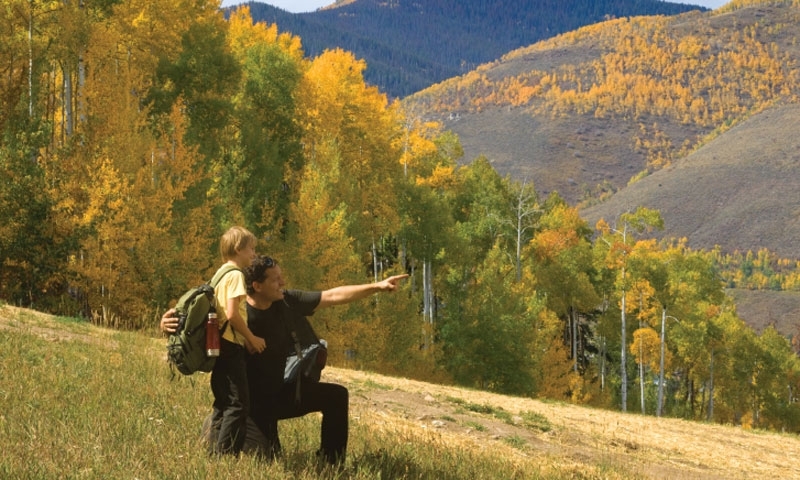 There is no limit to the fun you’ll have with your kids in Estes Park! Located in Northern Colorado. Trained and certified guides, complimentary use of safety gear, in business for 34 years with original owners. Fun City has great family entertainment! Bumper Boats, Go Karts, Mini Golf, Bungee Tramplines and more! With some of the best views in Estes Park, enjoy a day of fun! Giant slides, bumper boats, mini golf, go-karts, bungee trampoline, and much more! Located in Estes Park, CO, we are a 4x4 backcountry tour company geared around photography...open all year round! From mild to wild, we have something for everyone. Visit Nederland CO's magical menagerie featuring 56 whimsical, hand-carved animals on a restored 1910 Looff carousel, turning to the music of a 1913 Wurlitzer band organ. The serene and tranquil Trout Pond is perfect for introducing kids to the sport of fishing, or for simply spending a relaxing afternoon of hassle-free angling. Anglers and any outdoor enthusiast will love this ranch next to Big Thompson River. Accommodations include lodges, cabins and full-hookup RV sites. Bring the kids to cultural events all summer long! Shows include the Wool Market and Rooftop Rodeo. Several Fun Centers provide engaging activities. Explore trails and rivers with a guide. When it rains, there’s no shortage of fun! Go bowling, paint ceramics, or tour The Stanley. What can I do in Estes Park with my kids? Fun and learning for the whole family! Hands-on seminars offer lessons about wildflowers, mammals, birds, cultural history, outdoor skills, photography, painting and writing. Pick a topic and go explore! Great for adults and kids, these nature walks are led by a Park Ranger and a handful are tailored for children. Learn more about the wildlife, environment, and history of Rocky Mountain National Park. Your kids can become rangers too! These fun activities help teach them about exploration and safety. Offered all summer, free of cost. Ages 12 and under. Equipment is available free of cost. The lake is stocked with Rainbow Trout. No license is required on this private pond. You pay by the inch for what you catch. Rent bikes and go around the lake on the paved path. Rent a fishing boat, or choose from a variety of non-motorized boats and paddle out on the water. Enjoy the views, lounge and throw your fishing line from the sandy beach. Great fun for the whole family! Have some fun with your kids on the rapids this summer! Or choose a river trip that’s a smoother float. No worries if you have no experience. Guides are really helpful and entertaining. For most tours, the minimum age is 4 on the Colorado River, and 7 for the Cache La Poudre trips. Take the kids on an unforgettable jeep tour through the Rocky Mountains. You can pass historic sites, wildlife, waterfalls, and more! Let your little cowboys and girls take a pony ride or short horseback ride in the corral. Accommodating for the whole family. Rides available for pre-school aged kids. Saddle up and hit the trails for a half-day, full-day or overnight trip! Minimum age for horseback rides varies between 4-12 years old, depending on the stable. You’ll find wagon rides suitable for all ages. Take a tour through the town of Estes Park, or through the prairies and woods. Some rides are offered under the starry night sky. The Mountain Shop offers group trips, which are great for parents and their teenaged kids. Minimum age requirement is 14. You and your kids can enjoy an epic bike ride in Rocky Mountain National Park or around Estes Park. If they’re too young to bike, some tours offer kids trailers and tag-a-longs so they can come too! Estes Park off-roading is exciting no matter which trail you choose. Drivers must be at least 16 years old, and passengers must be at least 4 years old. With low environmental impact, segway tours are led for groups of 2-6 people. Kids must weigh at least 100 lbs. There’s nothing like being pulled on a horse drawn carriage when you’re surrounded by snowy scenery. Snuggle up and sip hot cocoa. All ages welcome. Tours and guides are welcome to all levels of ability. Come ready for an adventure! Kids of all ages love this event. Explore the vendors, walk through the stables, and meet the animals. Watch demonstrations and competitions too. The miniature horse show is only one of the many horse shows held at the Estes Park fairgrounds every summer. Kids love to see these tiny horses! Bring your kids to the rodeo, and they’ll have a chance to ride a sheep as part of the show! Childs tickets (3-11) are $5, and general admission is $17. Parents can enjoy the educational seminars while the kids attend the Native American storytelling and visit the arts and crafts vendors. Great food includes elk, kettle corn, and BBQ. Live music for everyone. The day after Thanksgiving, watch thousands of sparkling lights dazzle downtown. Enjoy all of the whimsical characters in the parade—angels, snowmen, forest creatures, and Santa himself. Other events include hayrides and carolers. If your kids love cars bring them over for the car show. You’ll see a variety of vehicles, vintage to modern day. Celebrate the summer solstice with a fun-filled festival. Enjoy good food and vibrant folk dance performances. Kick up your heals and join the fun! Take the tram to the top of Prospect Mountain. Overlook Estes Park and enjoy a picnic at the top. Visit the hotel where Steven King found his inspiration for the chilling novel The Shining. Take the Historic Ghost & History Tour—no children under the age of 5 are permitted. All ages are welcome to attend the Ghost Stories. Enos Mills is the founder of Rocky Mountain National Park. He was also an author, photographer, nature guide, innkeeper, and led hundreds of hikes up Longs Peak. Make an appointment to come see his cabin and learn more. Stop by to see the world’s largest key collection. There are over 30,000 keys with fascinating stories. Then enjoy a delicious piece of pie, made fresh at the Baldpate. If you’re still hungry, get the specialty soup and salad lunch/dinner. The MacGregor Ranch is the last working cattle ranch in Estes Park. The main ranch house is now a museum, full of historic clothing, handcrafts, furnishings, paintings, diaries, and more. This museum welcomes children, and thousands of young students come each year to visit. With the backdrop of the Rocky Mountains, play on the giant slides, bumper cars, bumper boats, go-karts, mini golf course, climbing wall, and bungee trampoline. This old mini-golf course is fun and full of charm. Stop by after a day on the trails. Fun rides for the whole family! Includes Go Karts, Bumper Boats, Batting Cages, a Bungee Trampoline, Bumper Kars, Mini Golf and an Arcade. Bring your kids to a live music show at Performance Park. Offered weekly and all summer long. No admission cost. Get a taste of a real BBQ dinner and enjoy a cowboy performance. Check the Aspen Lodge and Elk Meadow Lodge for their showtimes and to make a reservation. When the weather gets dismal, head over to the indoor pool. There’s a rope swing, diving board, and pool toys. Kids get 2 free bowling games everyday all summer long. It’s a great place for parties and family outings. After hours has live music. Get dressed up like you’re from the Wild West! Pose with fun props and get your family portrait. There are costumes for the whole family. Capture the memories of your trip out west. Pottery painting is too much fun! Choose your ceramic and paint it yourself. Or build your own pillow with unique fabrics and beads. If parents want to lounge, coffee, snacks, and wifi are available. Stop by with the whole family and watch a glassblowing demonstration. Kids as young as 2 have climbed the walls at the Mountain Shop’s Climbing Gym!